We recently had fun setting up Facebook location pages for a client. 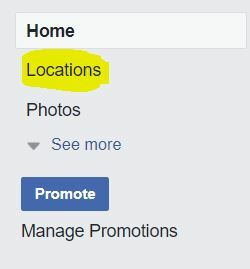 Location pages allow a business to have several locations tied together in Facebook. The business can have a Facebook page for each location under one main parent page. The main parent page then has a location tab on the left side navigation bar of it’s Facebook page.